Chef de Cusine Tyler Lapotosky has created a delicious menu for you to savor indoors in our rustic dining room, in front of the cozy fireplace—or outdoors on our patio, surrounded by magnificent views. Indulge in our famous table-side guacamole, made to order by the guacamoliere, our very own guacamole expert who mixes the freshest ingredients just the way you like it. When it’s time for your main course, Chef Tyler exhibits his unique Southwestern flair, grilling up steaks, fresh fish and scallops, or putting his own twist on more traditional, regional favorites like short rib tacos and prime beef quesadilla. 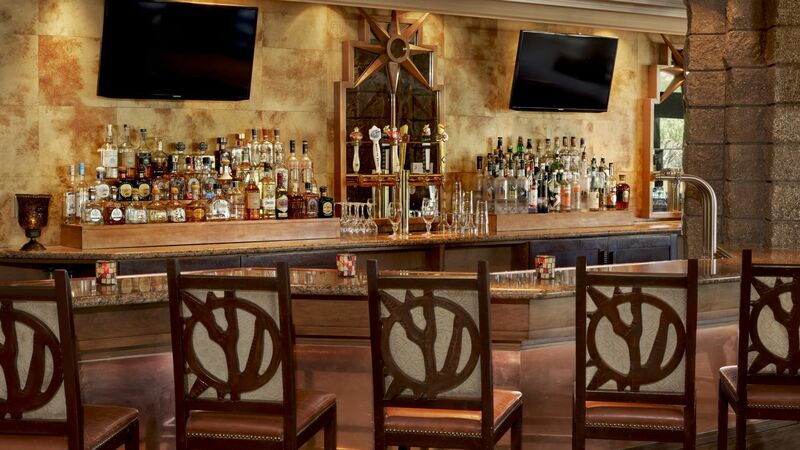 Whatever you order, you’ll see that a deep passion for Southwestern food is the main ingredient at the Flying V Bar & Grill, at The Loews Ventana Canyon. Nearly 70 tequilas and signature cocktails are just the start of what we offer at The Flying V Bar & Grill. We also have a well-rounded wine list focusing mainly on domestic vintages to match our Southwestern-style menu. 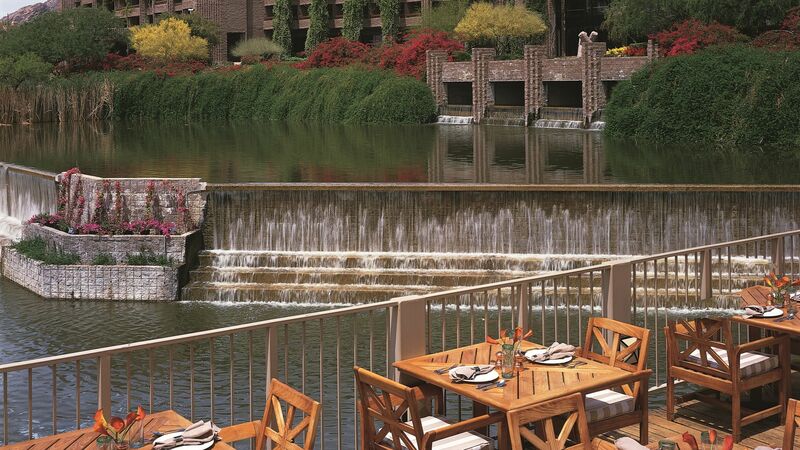 Our informed dining staff can find the right wine pairing for every dish we serve. Learn more (Download Acrobat Reader Here) about our Tequila selections.